A strong gate or fencing in Malvern homes is the ultimate way to offer complete privacy and security for your home. 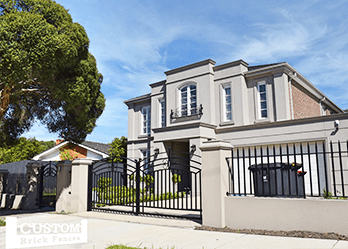 At Custom Brick Fences, we not only manufacture and build the highest quality fences but also custom-design a wide range of steel fences and premium gates. For fencing in Malvern, you know where to come! Through the years we’ve been in business, our clientele has spanned across Melbourne’s CBD to Brighton and through to Malvern. Brick fences and gates are our specialty, which means we aim to assist you with any query you may have and supply a broad range of fences and gates. We are well-known for our commitment to customer service. Our staff members are highly trained and experienced, so you can trust our team to help you decide on the best product for your home. Whatever your requirements, our friendly staff will endeavor to turn your idea into a reality. At Custom Brick Fences our customers come first, which is why we try to provide you with the service, product range and convenience you need. We offer custom-design services that enable you to select your ideal design, size and colour for a certain fence or gate style. 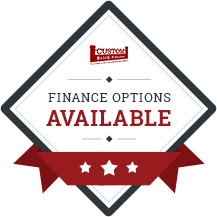 When it comes to deciding on the appropriate fence or gate, you can choose from our top-of-the-line range including modern brick or steel fences, convenient automated gates, or for the ultimate long-lasting solution, wrought iron gates. 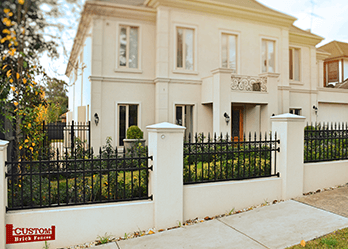 Armadale’s most trusted experts in fences and gates are Custom Brick Fences. Our automatic gates for Malvern are second-to-none. We take care of the entire process, so you know you are getting quality automatic gates for Malvern. Are you interested to learn more about our range of brick fences and gates? 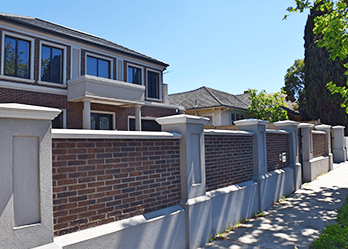 Armadale residents can all Custom Brick Fences now for a quote.